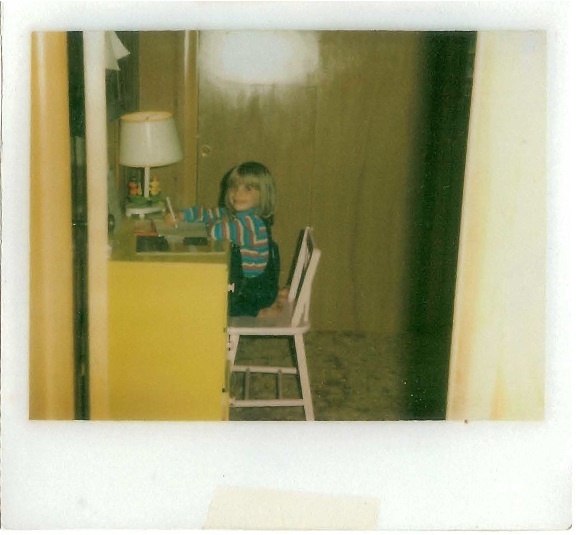 When I was a kid, I felt like an author. I wrote book after book, stapling together pages from old invoice pads or receipt books that my dad would bring home from work. I illustrated my books. I gave them away as gifts. There was no doubt in my mind that I would always be an author. I would have a house filled with books and I would write all day. And then somewhere along the way, doubts began to creep in. So I went to school for writing...who cares? Lots of people want to be authors...what made me think I could do it? What if I didn't have the chops? The drive? The stamina? Who could write a novel anyway? Even if I could do it, who would want to read it? But today, as I sit in my house full of books, gearing up to work on a new revision of my novel, I have this picture hanging above my desk. My younger self, grinning at me, whispering "I know you can do it!" Thanks, Kelley! It's middle grade (oh, real shocker, right?) so maybe one of these days you'll get to stock it in Pittsburgh! Wouldn't *that* be cool? You make that little desk look so big! Always knew you would do it, Jos, even back then! How cool that Ella writes at that desk now! That is how I remember you. Then and now. I'm lucky to have you as my little sister. Aw, thanks, Ali. I'm lucky to have *you* as my big sister!